Filmed in Dominique Abel and Fiona Gordon’s signature whimsical style, LOST IN PARIS stars the filmmakers as a small-town Canadian librarian and a strangely seductive, oddly egotistical vagabond. When Fiona’s (Gordon) orderly life is disrupted by a letter of distress from her 88-year-old Aunt Martha (delightfully portrayed by Academy Award®-nominee Emmanuelle Riva) who is living in Paris, Fiona hops on the first plane she can and arrives only to discover that Martha has disappeared. In an avalanche of spectacular disasters, she encounters Dom (Abel), the affable, but annoying tramp who just won’t leave her alone. 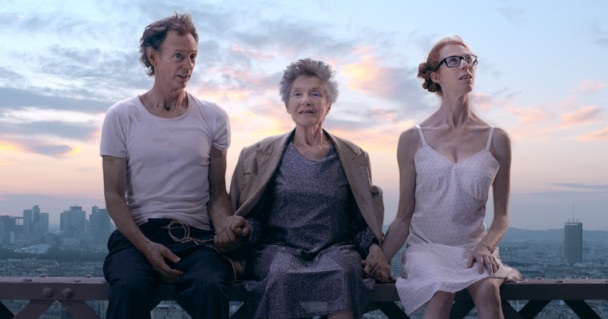 Replete with the amazing antics and intricately choreographed slapstick that has come to define Abel and Gordon’s work, LOST IN PARIS is a wondrously fun and hectic tale of peculiar people finding love while lost in the City of Lights. LOST IN PARIS opens in NYC on June 16th.